Dear Chico, there is a suggestion of a Club Patron who was in prison… What a pity!!! Yes. Another meaningless, inappropriate and without arguments attitude, of those who try to cry meekly… (mansinhamente…). Uncle Chico, Darcy Ribeiro (a very famous Brazilian anthropologist and writer) said: “There are only two options in this life: resignation or indignation. And I will never resign myself“. CAFIB and you have never resigned and always faced the cross breeders, their heirs, their followers, the miscegenation, the BKC, the CBKC and the FCI. 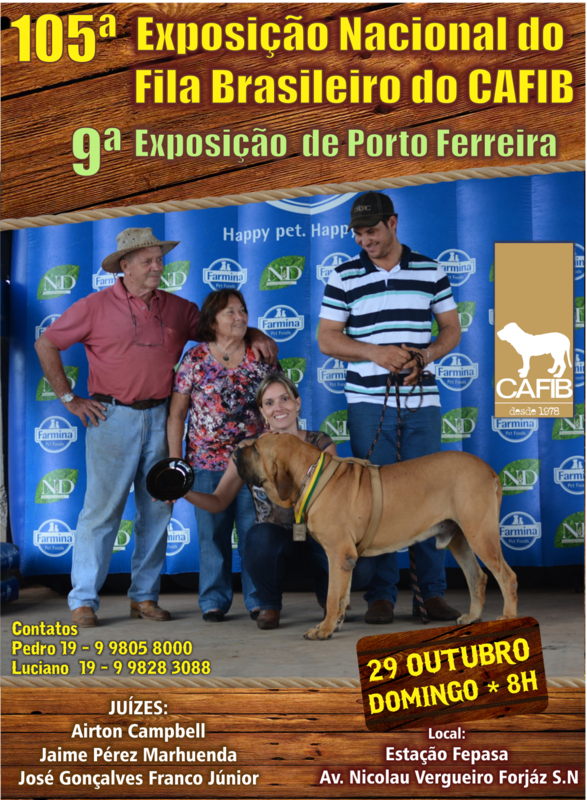 The truth is that the PURE Fila Brasileiro still exists only because of the work done by CAFIB that rescued the FB from extinction and preserves it until today in its breed and racial purity. We will never compromise with the miscegenation and the so called NAM`s (Neo Apologists of Miscegenation) who are the heirs and followers of the first FB cross breeders. Uncle Chico, I read a post in the facebook WSWR where Mr. Jacob Nalder Blumen, commenting on recent Unifila and CAFIB events realized in Europe, informed those concerned that CBKC-FCI has no agreement with Unifila and CAFIB and, still, that the CAFIB judge, Mr. Marcus Flavio Vilasboas Moreira, is not a member of the Board of Arbitrators of the CBKC-FCI. What could you comment on this statement? 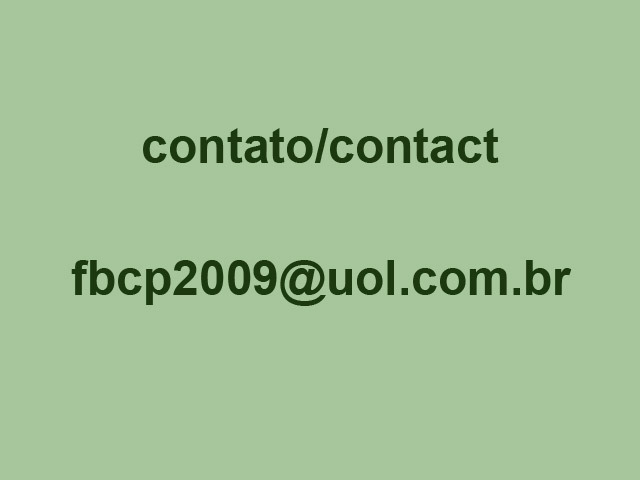 Firstly, I comment that to the best of my knowledge, the Unifila has an agreement with the CBKC, so much that CBKC emits the pedigrees of the FB breeders of this club based in the Brazilian state of Minas Gerais. But who can definitely clarify this subject are these two clubs. However, as the years passed and the concluding absence of the CBKC-FCI in the breeding of the FB in Brazilian state of Minas Gerais and in Brazil, Unifila and CAFIB became very close, several judges of CAFIB judged many Unifila Expos in the city of Belo Horizonte for many years and Marcus Vilasboas Moreira, former Unifila president, was approved in the very hard and difficult Examination to become a CAFIB Judge. My impression of this post is that it attempts superficially, naive and foolishly to detract from the work of this judge, as well as the Unifila Expos and the CAFIB Analyses of Phenotype and Temperament (read in English http://www.filabrasileirochicopeltier.com.br/fila-brasileiro-filas.html ) recently conducted in Europe. After all, why would Unifila, CAFIB or any other FB club in the world not be able to hold events in Europe without paying attention to the eternal absentees and omissions CBKC and FCI? 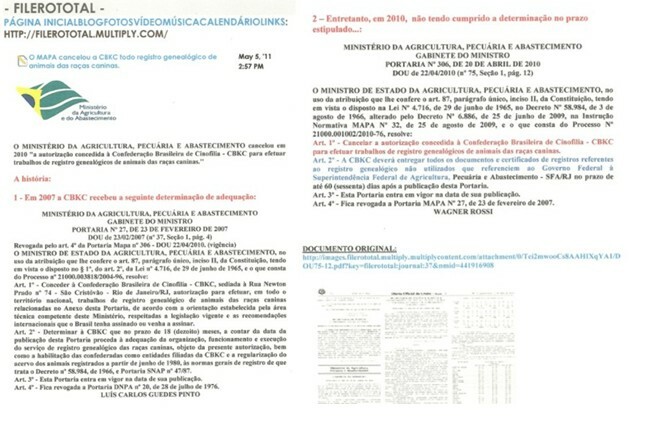 The CBKC has already been suspended and expelled from the Brazilian Ministry of Agriculture twice (see those documents below and clicking in http://www.filabrasileirochicopeltier.com.br/novos/30_79/materia.html), while CAFIB was recognized by such Ministry on April, 23rd-1980. So why does Mr. Blumen think that CBKC-FCI would be the only clubs that deserve to hold exhibitions and events in Europe? Querido Chico, tem sugestão de Patrono de Clube que estava preso… Que bola fora !!! Grande Chico, Darcy Ribeiro dizia: “Só há duas opções nesta vida: se resignar ou se indignar. E eu não vou me resignar nunca”. Pois o CAFIB e voce não se resignaram nunca e sempre enfrentaram os mestiçadores, seus herdeiros, seus seguidores, a mestiçagem, o BKC, o CBKC e a FCI. 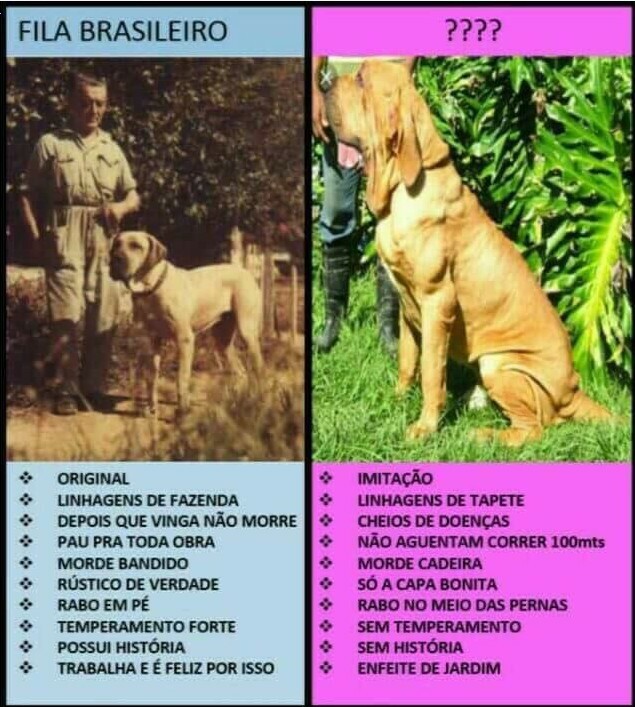 A verdade é que o Fila Brasileiro Puro ainda existe em decorrência unicamente do trabalho do CAFIB que resgatou o FB da extinção e o preserva até hoje em sua pureza racial. Jamais compactuaremos com a mestiçagem e os NAM`s (Neo Apologistas da Mestiçagem) que são os herdeiros e seguidores dos primeiros miscigenadores de FB. Tio Chico, li no facebook SSSR um post onde o Sr. Jacob Nalder Blumen, comentando eventos da Unifila e do CAFIB realizados recentemente na Europa, informou aos interessados que a CBKC-FCI não têm nenhum convenio com a Unifila e o CAFIB e, ainda, que o juiz do CAFIB, Sr. Marcus Flavio Vilasboas Moreira, não faz parte do Quadro de Árbitros da CBKC-FCI. O que voce poderia comentar sobre esta afirmação? Primeiramente comento que até onde vai meu conhecimento a Unifila ainda mantem convenio com o CBKC, tanto que o CBKC emite os pedigrees dos criadores deste clube mineiro. Mas quem pode esclarecer definitivamente este ponto são os clubes envolvidos. Entretanto, com o passar dos anos e a contumaz ausência do CBKC-FCI na criação do FB em Minas Gerais e no Brasil, a Unifila e o CAFIB se aproximaram muito, tendo muitos juízes do CAFIB julgado durante anos muitas Expos da Unifila em Belo Horizonte e Marcus Vilasboas Moreira, ex-presidente da Unifila, foi aprovado no difícil Exame de Juiz do CAFIB. Minha impressão sobre este post é que tenta de forma superficial, ingênua e tola desmerecer o trabalho deste juiz, assim como as Expos da Unifila e as Analises de Fenótipo e Temperamento (leia em http://www.filabrasileirochicopeltier.com.br/fila_brasileiro-cachorro.html ) do CAFIB recentemente realizadas na Europa. Afinal, por que a Unifila, o CAFIB ou qualquer outro clube de FB do mundo não pode realizar eventos na Europa sem dar a mínima atenção aos eternos ausentes e omissos CBKC e FCI ? Ora, o CBKC já foi suspenso e expelido do Ministério da Agricultura por duas vezes (vejam estes documentos abaixo ou clicando em http://www.filabrasileirochicopeltier.com.br/novos/30_79/materia.html ) enquanto isto o CAFIB foi reconhecido por este mesmo Ministério em 23/04/80. Sendo assim, por que o Sr. Blumen acha que CBKC-FCI seriam os únicos clubes que merecem realizar expos e eventos na Europa ? Sendo assim, para mim trata-se apenas de despeito, choro e muito non sense. I also received this post from a friend. 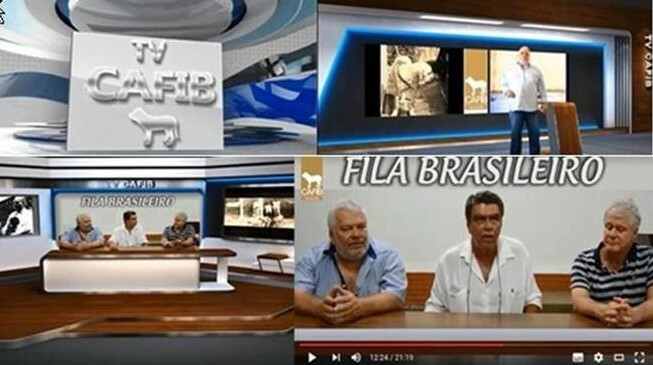 Who identified the photo on the left was Aniello Aliberti, CAFIB representative in Italy and founder of CAFIBI, whose slogan is the extremely objective: “Club per la Tutela del Fila Brasileiro Puro (Pure)“. Aniello is a great collector of FB photos and wrote me that this photo on the left was taken at Canil ABC in the city of São Paulo. After receiving this information I soon recognized the handler: Mr. Guerreiro. He was the one responsible for this Kennel. I recognized him because I was with him when I visited the Canil ABC of Mr. Enio Monte in 1976. 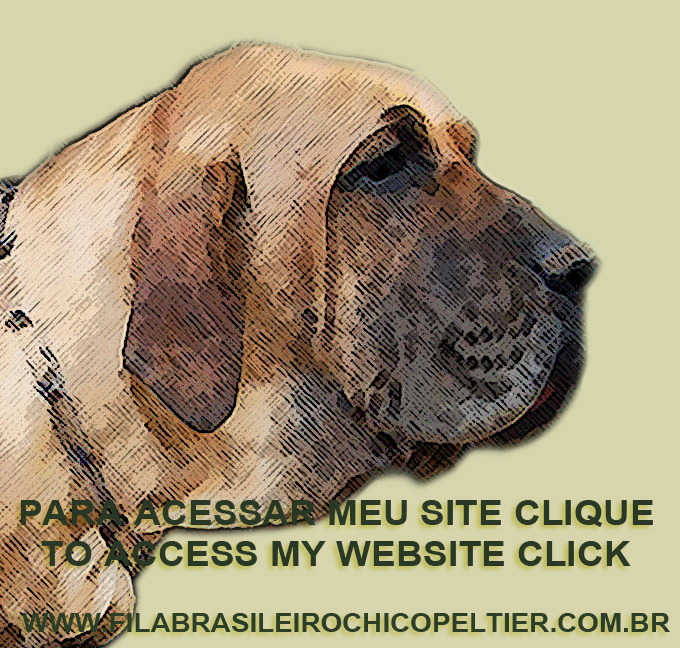 On this day I also took the picture below (http://www.filabrasileirochicopeltier.com.br/fotos/18%20(42).jpg) , when I saw – unfortunately for the Pure Fila Brasileiro – for the first time in my life a English Mastiff, which was kept in this kennel in the city of São Paulo, the main mating and cross breeding place were carried out and not at the Enio Monte farm in the interior of State of São Paulo. The post on the right is a letter from KCP (Kennel Club of São Paulo) dated Sep, 11th. 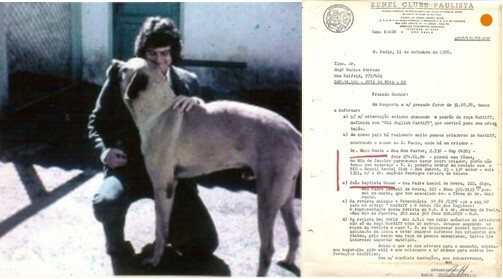 – 1978 (http://www.filabrasileirochicopeltier.com.br/8-Documentos-de-1978/8-21-A.jpg ) attesting that Mr. Monte and Mr. João Batista Gomes both owned English Mastiff. Mr. Gomes at that time was president of the CBFB (São Paulo Fila Brasileiro Club (??? !!! ), precursor of the current SPFB. Hi Chico, do you think that breeding “mestizo-fila” of any color or the so called “black-fila” with pedigree is the same thing as breeding mongrel or mutt dogs? My dear Chico, after all, why the Brazilian likes so much to breed mestizo-fila” of any color and the so called “black-fila” ? Também recebi esta postagem de um amigo. Quem identificou a foto da esquerda foi o Aniello Aliberti, representante do CAFIB na Itália e fundador do CAFIBI, cujo slogan é extremamente objetivo: “Club per la Tutela del Fila Brasileiro Puro”. Aniello é um grande colecionador de fotos de FB e me alertou que esta foto a esquerda foi tirada no Canil ABC, SP. Após receber esta informação logo reconheci este tratador: era o Sr. Guerreiro. Ele era o responsável por este Canil. O reconheci, pois estive com ele quando visitei o Canil ABC do Sr. Enio Monte em 1976. Neste dia também tirei a foto abaixo (http://www.filabrasileirochicopeltier.com.br/fotos/18%20(42).jpg) , quando vi – infelizmente para a pura Raça Fila Brasileiro — pela primeira vez em minha vida um Mastiff Inglês, que era mantido neste canil na cidade de São Paulo, onda os principais acasalamentos e cruzamentos eram realizados e não na Fazenda do Sr. Enio Monte, no interior do estado. 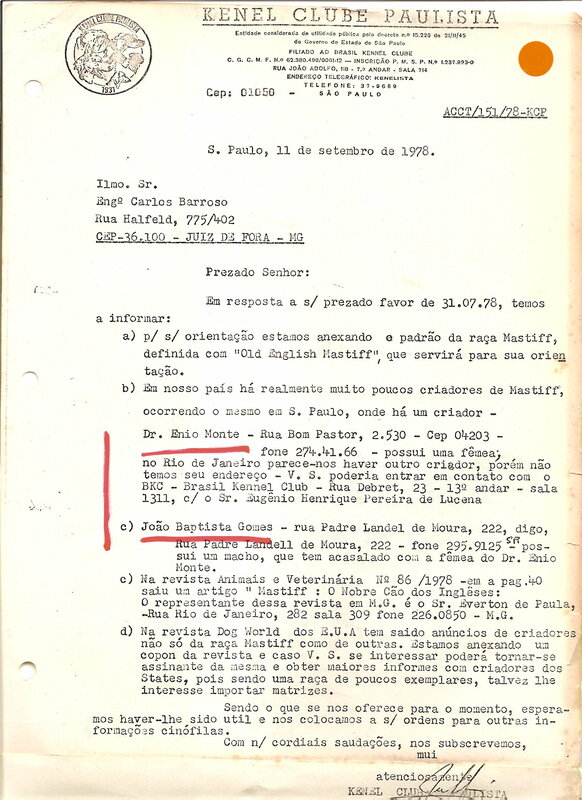 A direita carta do KCP datada de 11/09/78 (http://www.filabrasileirochicopeltier.com.br/8-Documentos-de-1978/8-21-A.jpg ) atestando que Sr. Monte e o Sr. João Batista Gomes possuíam ambos Mastiff Inglês. O Sr. Gomes na época era presidente do Clube Paulista do Fila Brasileiro (???!!! ), precursor da atual Sociedade Paulista do Fila Brasileiro. Grande Chico, voce não acha que criar “fila-mestiço” de qualquer cor ou “fila-preto” com pedigree é o mesmo coisa do que criar vira-lata? Fala Chico, afinal, por que o brasileiro gosta tanto de criar “fila-mestiço” de qualquer cor e “fila-preto” ?